Without a doubt, the fixed-wing aircraft is perhaps one of the greatest inventions of all time. Modern aircraft weigh hundreds of tonnes, yet still find a way to lift off the ground and cruise nearly six miles in the sky - all thanks to the ingenious design of it's wings and engines. Invented by the Wright brothers in 1903, the modern day aircraft is one of the most important methods of travel in the modern world - for tourists, business tycoons, military personnel, and even for the purpose of transporting all manner of cargo. Without the power of flight, our society would simply not prosper - it's something we truly take for granted. Quite possibly the world's most iconic aircraft, the 747 was the original plane that your childhood self referred to as a "jumbo jet" - it entered service in 1969 and quickly became the largest passenger airliner ever built, and one that revolutionised the aviation industry; particularly when it came to lengthy transatlantic flights. The distinct hump on it's front houses the first class sector, and from an outside perspective, it's one of the key traits that makes this plane so easily recognizable, even to non enthusiasts. It set numerous other records upon launch relating to overall mass, wingspan, and speed - with a maximum cruising speed just shy of 560mph. Without a doubt, this is an aircraft that would immediately come to mind for many people when thinking about planes on the spot. Not that you would, unless you're a loser like me. No offense intended. Well, not to other plane fanatics anyway. To myself, always. 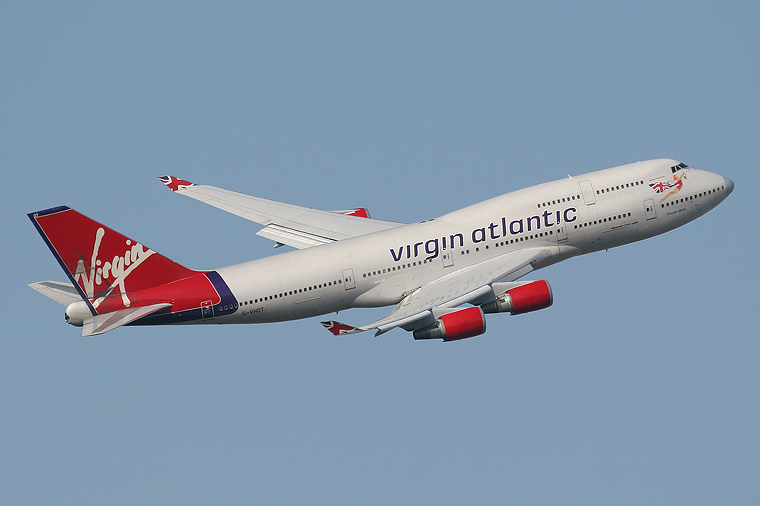 The 747 held the record of largest passenger jet from it's inception in 1969 until 2005 - when the Airbus A380 came along. Capable of carrying over 800 passengers (though average flights house just over 500 due to different layouts and classes), the A380 is slightly shorter than the 747, but easily tops it in terms of wing span - 80 meters in total - and general mass. The A380 was Airbus' response to Boeing's efforts to dominate the large aircraft market, and as a result, it has become an essential asset to the fleets of many top airliners; from British Airways to Virgin Atlantic to Emirates, the latter of which own over 60 of these beasts. It can fly at nearly 600mph, thus completing transatlantic flights in around 8-10 hours like it's competitors, but the larger capacity paves the way for more passengers, more on flight facilities, and an overall richer experience. It's awesome inside and out. Officially the largest airplane of all time, the Antonov 225 was built by the Soviet Union in 1988 for the sole purpose of transporting the Buran spaceplane. Once the Buran programme was concluded, the Antonov was bereft of purpose for nearly a decade, until finally being refurbished and used to transport enormous payloads - and allow the Soviet Union to brag about their god-like flying machine. Weighing over 300 tons, reaching a length of 84 meters, and having a wingspan of 88 meters, this airplane is one of the most impressive achievements in aviation history - and makes it even harder to comprehend how such gargantuan things are able to even get off the ground, let alone happily cruise above the clouds. The Antonov stands out not only due to it's sheer size, but also it's six turbo fan engines, huge landing gear system that includes 32 wheels, and a tail fin that's even larger than the wingspan of smaller passenger jets. It cruises at about 500mph, the average speed for a jet airplane, but again, even more impressive when you look at just how big this thing is. Only one was built, as a plane of such scale was not essential for most aviation duties and so investing in future models seemed pointless. Perhaps this just helps it to stand out amongst the crowd. Truth be told, I struggle to really explain why the C-17 is one of my favourite airplanes - it just looks so badass, particularly thanks to it's impressive and iconic tail fin. Created solely for military purpose, the C-17 is a common in the fleets of most of the world's aviation warfare departments, such as the RAF and US Air Force. It's ability to take off and land in a matter of seconds, as well an impressive cruising speed of 520mph, make it perfect for military use; allowing it to reach even the most remote and narrow places when necessary. The C-17 is primarily used for transporting troops and cargo, and even to drop essential supplies down to recovery teams. The C-17 began service in 1991 and production concluded just last month, although Boeing will continue to support usage and repairs of them for years to come. It's clear, based on it's impressive stats and robust design, that it'll be a long time before any attempted successor can rival it. 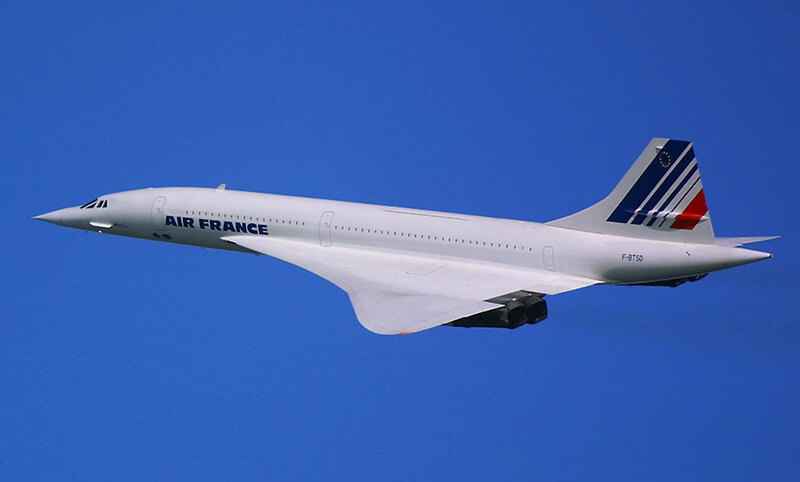 A cliché choice for sure, but one that I had to include; first flown in 1969 and launched commercially in 1976, the Concorde was the world's second supersonic passenger aircraft after the Tupolev, which had a much a shorter lifespan due to safety and budget problems. Concorde planes were capable of flying at 1500mph - nearly three times the speed of the average jet plane, and over twice as fast as the speed of sound. As a result, lengthy transatlantic flights could be completed by the Concorde in a mere three hours. The sleek overall design, simple yet complex delta wings, and immensely powerful Olympus 593 engines allowed the aircraft to shatter numerous records and become one of the fastest of all time. As a result, it was primarily a magnet for the wealthy, with fares costing thousands of pounds - imagine how inflated that'd be today! Sadly, the very first Concorde crash occurred on July 25, 2000, when an aircraft clipped an alloy strip upon takeoff, caught fire, and consequently smashed into a nearby hotel, killing everyone aboard and several people on the ground. After being grounded for over a year, Concorde took to the skies once again in November 2001 - of course, the tragic attacks on the WTC two months prior caused an understandable fear of flying amongst the general public, and numerous airlines faced severe losses in revenue as a result. Consequently, due to high fuel and maintenance costs, the program simply became unprofitable by a large margin, and so was finally retired in 2003. It's legacy rightfully lives on to this day as a true engineering marvel.